A doorway creates an opening in what would otherwise be a solid wall. That opening is an opportunity for an encounter between the one who opens the door and the one on the other side of it. This Easter we'll be hearing stories from several people and their encounters with God. Even though these stories were recorded in the Bible thousands of years ago, it's amazing how similar these stories are to our stories. And one thing has never changed - God is seeking to encounter each of us with His love, mercy, grace and kindness. 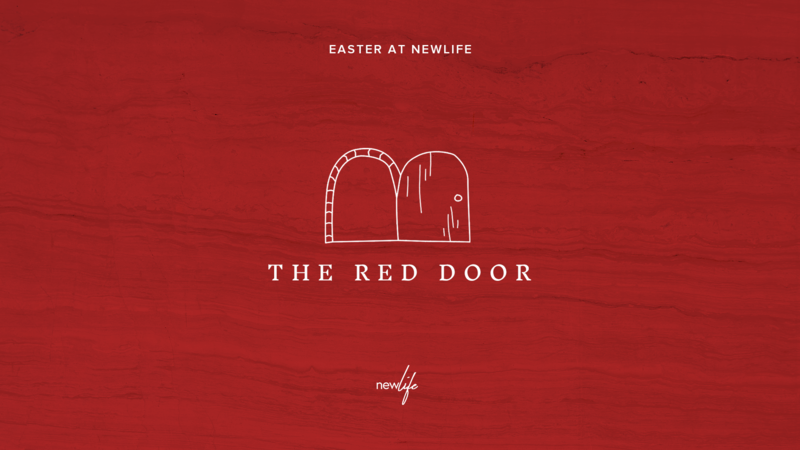 We invite you to join us this Easter to experience these stories and to have your own encounter with Jesus. "Look, I stand at the door and knock." 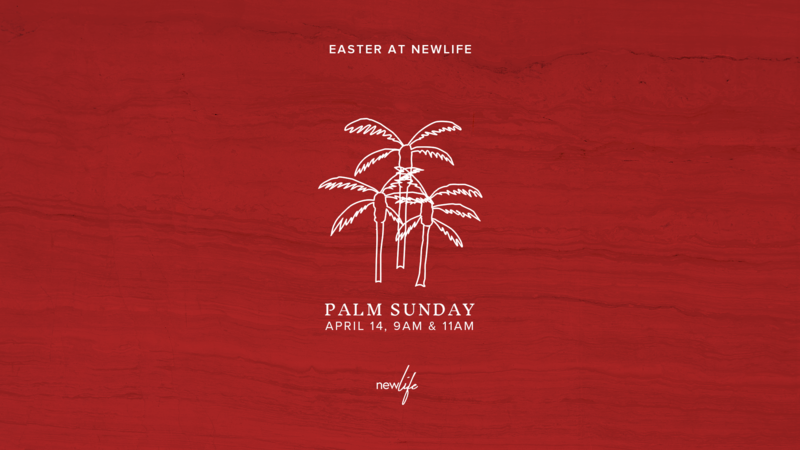 Marking Jesus' triumphant entry into Jerusalem on a the back of a donkey, we celebrate Palm Sunday as the start of Easter Week and the first step towards Jesus' resurrection. Kingz Kidz will be leading us in worship and Newlife Creative have prepared a creative item. In this reflective service we remember the suffering Jesus experienced as he was crucified, and we'll be sharing a time of communion together. 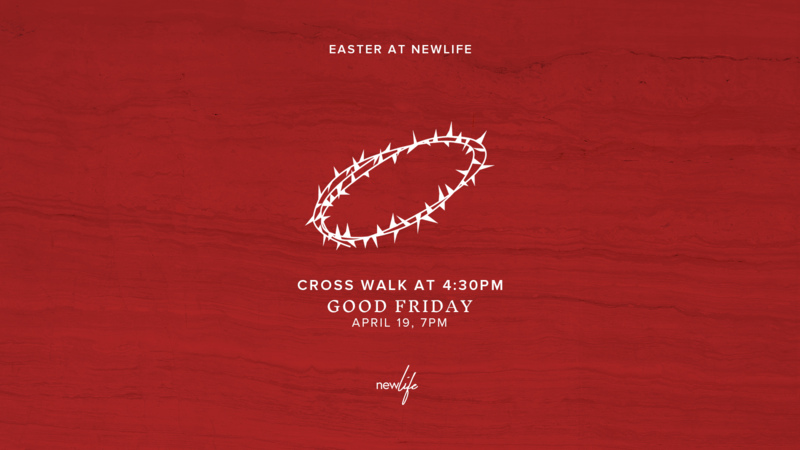 The Newlife annual Cross Walk starts at 4:30pm, then donate to the UK Mission's Team and enjoy a community dinner before the service at 7pm. After three days in the tomb, Jesus Christ rose from the dead, forever defeating death and making the way for all of us to receive eternal life. 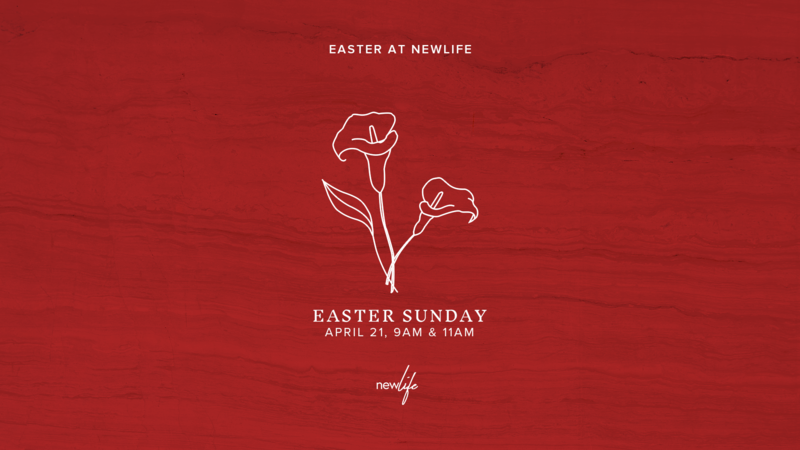 We celebrate that victory every year on Easter Sunday, and invite you to join us.